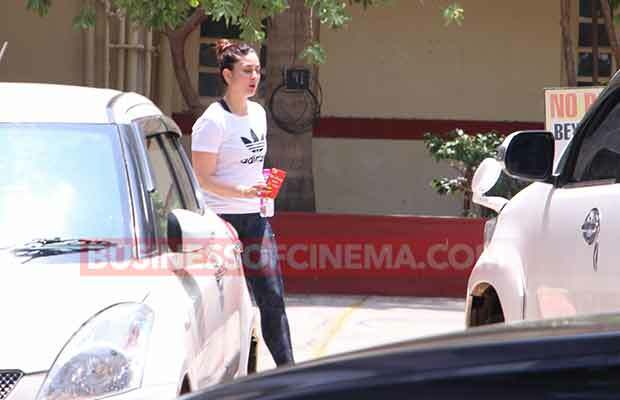 Shahid Kapoor and Mira Rajput spotted coming out of the gym together! The Bollywood actor Shahid Kapoor and his wife Mira Rajput always gives us couple goals. They are indeed one of the most Adorable couples in B Town. The two of them have been often snapped in town, while they are out for a lunch date or just for shopping. 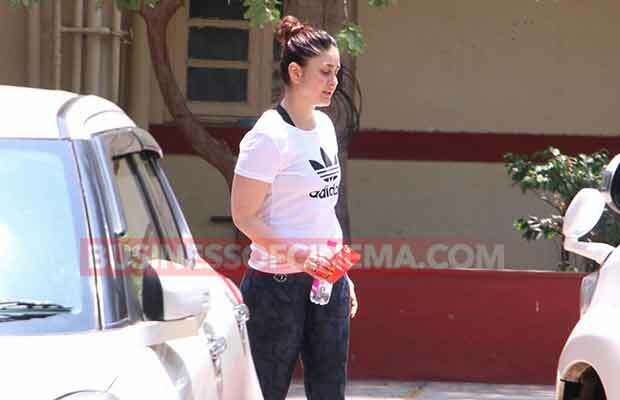 The lovey dovey couple has again been spotted as they were coming out after working out. Mira was looking all sweated out in that dark grey top and black bottoms. To beat the heat, she had tied her hair in a sleek pony tail and had sunglasses on. 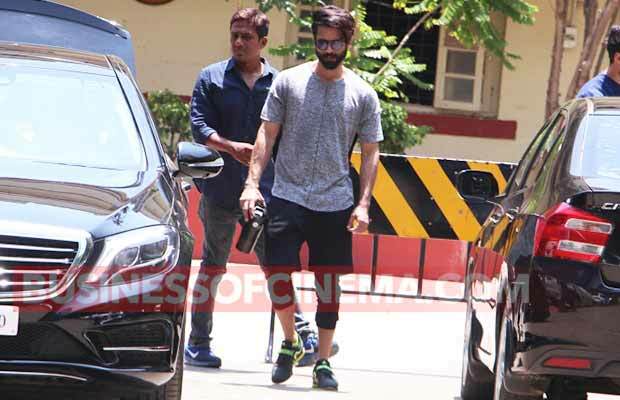 On the other hand, Shahid was looking all cool in light grey t-shirt and black three-fourths. With black shades on, he had come for working out in black and neon-green sports shoes. Shahid and Mira’s look were almost colour co-ordinated and the couple looked very good together! 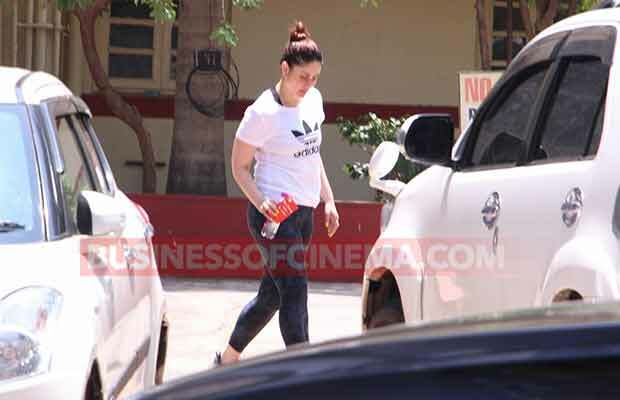 The B-town’s yummy mummy Kareena Kapoor Khan was also spotted coming out of the gym in a white t-shirt and black bottoms, with her hair tied in a bun. 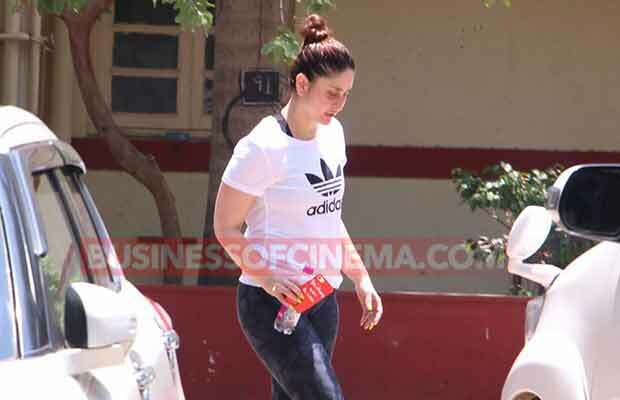 The actress is working out to get back in shape for her next film, Veere Di Wedding. 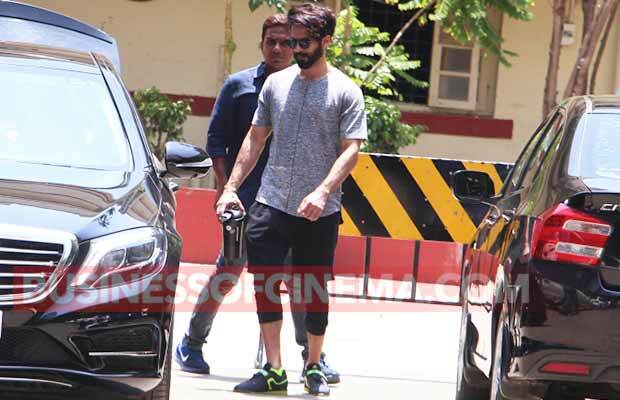 On the work front, Shahid Kapoor will be seen in Sanjay Leela Bhansali’s Padmavati. SLB’s historic film Padmavati features Deepika Padukone as Queen Padmavati opposite Shahid Kapoor who will be seen as her husband, Rawal Ratan Singh. Ranveer Singh portrays the character of Alauddin Khilji in the movie. Rumors are rife that Mira and Misha might soon be having their Bollywood debut together. Previous articleRaabta New Song: Sushant Singh Rajput And Kriti Sanon’s Chemistry In Atif Aslam’s Darasal Is ADORABLE!